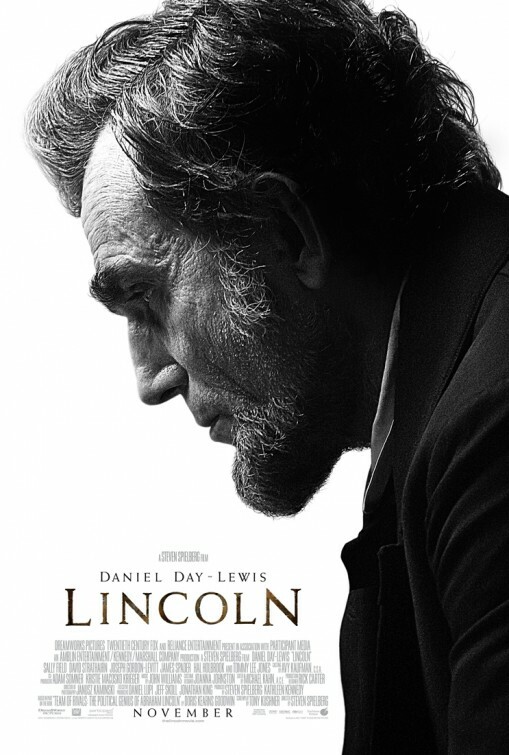 In this movie, the greatest actor alive demonstrates the conflicting ambitions, leadership, and determination of one of the towering figures of American history. There is no better man who could have been chosen to embody such a complicated and important historical figure, one who stood at the crossroads of America’s greatest conflict since the nation’s founding. So much pressure sits on Daniel Day-Lewis’ (and also Spielberg’s) shoulders on portraying such an important and beloved, yet also controversial leader of modern Western civilization; for the most part, they succeed spectacularly. Not only is Lincoln another pedestal for Day-Lewis to demonstrate his ability to absorb into the skin, shoes, and soul of another man, but the film is also Spielberg’s first great film in fourteen years. There have been a few rough patches for the most successful filmmaker of all time since the days of Saving Private Ryan (1998), but Steven proves he’s still got what it takes to make a damned fine movie. Spielberg’s direction combines with an excellent screenplay and a fine cast, lead of course by Day-Lewis’ trademark highbrow acting. At its core, Lincoln is a courtroom drama about a bunch of old, white guys who meet in a big room and vote on things. The story’s premise and concept are extraordinarily plain on the surface, yet the way Tony Kushner’s script guides us through the perspective of Honest Abe and the way Spielberg orchestrates these events makes the on-screen debates, monologues, and developments extraordinarily interesting. The vicious debates in the House of Representatives, the passionate, heartfelt arguments of Lincoln’s family members, and of course, the captivating monologues of Day-Lewis’ Lincoln himself combine to make this story flow as elegantly as a perfectly paced action movie, despite having almost no on-screen violence. The main selling point here is Day-Lewis’ performance as the titular character, and his unparalleled skill combines with Kushner’s nuanced writing to create a character that is both powerful and awe-inspiring, yet also likable and relatable. Lincoln projects its protagonist’s monumental legacy, while also illustrating him as a flawed, human individual. The opening scene gives a great introduction to Day-Lewis’ Lincoln, melding perfectly with Kushner’s dialogue and Spielberg’s staging to showcase an unforgettable performance. If you liked Day-Lewis in There Will Be Blood (2007), then you’ll love him here, albeit for different reasons. Day-Lewis seemingly changes his vocal chords to emit the voice of a fatherly, yet imposing figure that makes you feel both comforted and intimidated. The way our lead actor carries himself, his mannerisms, body language, line-delivery, and especially his voice to magnify the emotions within his character are astounding. Another surprise selling point to Spielberg’s newest tale comes in the form of a memorable Tommy Lee Jones. Jones, who plays a sardonic “radical” Republican in the form of Thaddeus Stevens, is a real out-of-left-field treat, with most of the film’s pre-release hype going to both Spielberg and Day-Lewis. Jones’ bald head and brash, aggressive performance are a perfect compliment to Day-Lewis’s calm, calculating Lincoln, and some of the best moments of the film take place when the story puts the two of them together. Of course, all of the film’s performances would be forgettable if not for the sublime storytelling and direction of Kushner and Spielberg. Their work is what ultimately makes Lincoln a resounding success, as they handle all the immense talent on-screen extremely well. What both Kushner and Spielberg did here is similar in many respects to how Aaron Sorkin and David Fincher handled The Social Network in 2010, namely, taking a boring concept on paper (a bunch of old white guys voting on things, or computer programmers suing each other) and making it a fascinating cinematic experience. 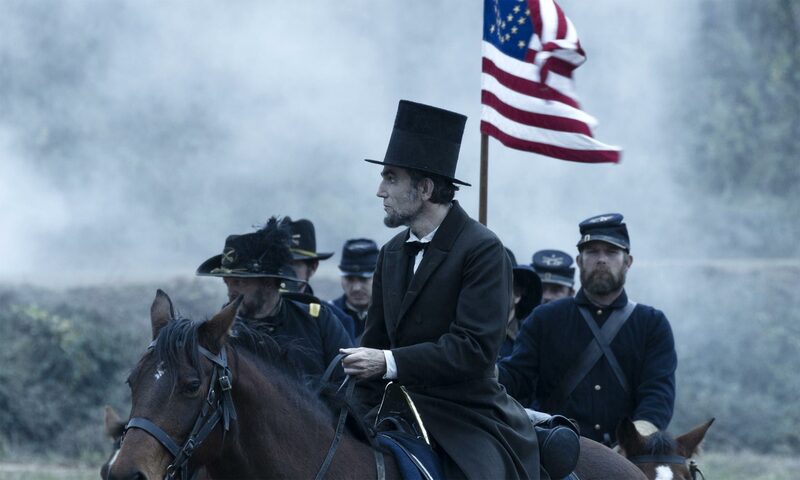 Sally Field and Tommy Lee Jones are the surprise hits behind Lincoln. Granted, Spielberg has the opportunity of working with the greatest living actor on the planet, but the most successful director who ever lived has made his career proving time and time again that he can take excellent talent in his film crew and make it truly extraordinary. Lincoln is a winner. SUMMARY & RECOMMENDATION: Tony Kushner’s deep screenplay and Spielberg’s veteran direction make this political courtroom drama feel unique and exciting from beginning to end. You’re never bored, but rather captivated by how the film guides you through the lives of some of the most influential Americans who ever lived. Daniel Day-Lewis does it again. Tommy Lee Jones is great as well.
? A compass, I learnt when I was surveying, it’ll point you True North from where you are standing, but it’s got no advice about the swamps and deserts and chasms you’ll encounter along the way. If in pursuit of your destination you plunge ahead, heedless of obstacles, and achieve nothing more than to sink in a swamp, what’s the use of knowing True North?